When it comes to balancing the scales of your payroll departments, it seems as if you always have to weigh time against money. If you want to minimize the amount of time you spend learning regulations and staying on top of paperwork, you’ll need to hire a knowledgeable and loyal set of payroll employees. But it can be expensive to maintain this type of staff, especially when each staffer is working full time. This problem is compounded if you’re an American company looking to set up shop in Canada. A small staff may lack the manpower and knowledge necessary to handle everything from insurance to new labour regulations. At the same time, you want to use your resources as effectively as possible, so hiring full-time staff may not work. What do you do? Hire a professional employment organization (PEO). A PEO is a body that hires workers for you and takes care of payroll and human resources tasks. Not only do PEO services in Canada help you recruit employees and manage their files, but they offer knowledgeable service that is indispensable to any enterprise. A company has to do a lot of work before it can establish a presence in a new country. To take advantage of the low corporate tax rates and new markets that Canada offers, businesses must register with departments in both federal and provincial governments, set up bank accounts and insurance policies, and comply with a whole host of new regulations and laws (which we’ll touch on shortly). Combine this with the day-to-day work that payroll and human resources departments must complete, and you may find your staff overwhelmed by the process. PEO services in Canada can relieve you of these burdens. As Canadian enterprises, they have already completed any necessary government registration. These organizations can help you establish any accounts or policies you may need, so working with them lets you get right to hiring foreign employees without getting bogged down. Tax policies and other regulations are some of the hardest aspects of opening a business in a new country. If you fail to comply with them, you will have to pay hefty fees. For example, the Canada Revenue Agency (CRA) can issue fines of up to 10 percent of a company’s annual income if they fail to remit their taxes on time. So how do you learn a host of obscure rules quickly so you don’t incur these costs? You don’t have to. PEO services in Canada employ staffers that are already well-versed in Canadian regulations and tax policies. They also monitor new regulations and amendments, so if a policy changes, your business won’t be unduly affected. Once your company starts operating in Canada, they’ll continue to manage everything related to your company’s tax payments, from employees’ T4 forms to any essential reports. Sometimes a mistake won’t just make you look unprofessional. A bad slip-up can result in huge fines, investigations, and possibly even lawsuits. Payroll and human resources are particularly susceptible to these mistakes. For example, if you declare that a full-time worker is actually self-employed, you could find yourself in hot water with the CRA. Hiring PEO services in Canada ensures two things. First, you know that you have experts working on your payroll and human resources tasks, so they know what behaviour to avoid. Second, they’re devoted solely to this type of work, so they won’t overlook something because they are too busy completing unrelated duties. As a result, you get added peace of mind when you outsource your payroll departments to a PEO. When U.S. companies look to establish their brand in the Canadian market, they often lack a concrete understanding of what this work entails. The process is long, arduous, and often riddled with needless mistakes and costs. As a result, what started as an attempt to earn greater revenues may end up sinking your business. If you want to avoid this fate, partnering with a professional employer organization (PEO) will see that you transition smoothly into Canadian operations. These organizations hire workers on your behalf and carry out payroll and human resources that can be crucial to your company. Prospective businesses must register with the proper federal and provincial government agencies. This can be difficult and time consuming, but it’s essential to gaining an insurance policy, bank account, and more. If you work with a PEO in Canada, however, you can skip this step. The organization will have already registered with all necessary government bodies, and since they are hiring on your behalf, you can operate through them to manage your new employees. You rarely get payroll management alone when you work with a PEO. Often, organizations will make their name through their additional services, which can include handling tax work, negotiations, and more. While small companies often find it difficult to offer their employees effective benefits packages, the size and scale of a PEO can ensure that they get a better deal on these goods and pass the advantages on to your workers. Also, if a PEO can provide human resources services, they can save you from having to hire an expensive full-time staff to do the same work. A good POE offers flat monthly rates with no surcharges, which allows you to anticipate your budget ahead of time. As a result, you can conserve your resources and concentrate your business instead of spending money on both payroll and HR. PEOs aren’t just a passive front through which you can hire new workers. They also employ experts in tax laws and labour regulations, and these professionals will keep your payroll and human resources departments on the right side of the law. When you work with a PEO in Canada, you make sure that your company won’t make any costly mistakes, saving you money in the long run. For example, when you expand into Canada, you may consider making new employees sign a non-compete agreement. While these documents are common in the U.S., Canadian court precedents have established that they are too broad and restrictive to be legally binding. To avoid potential lawsuits and maintain the efficacy of your contracts, you should work with a PEO in Canada, as they will know which contracts will suit your purposes perfectly and work with you to make them as strong as possible. You may think you understand your staff and the work they do for you, but it can be surprisingly tricky to know which employees should be listed as independent contractors and which should be full-time staff. Canada has specific rules that govern the relationship between employers and employees, but they can be obscure for companies based outside of the country. Still, misclassification is a small mistake that can have major consequences. Since these categories can affect the benefits a worker is entitled to receive, the Canada Revenue Agency (CRA) can levy major fines against you if you fail to properly account for an employee. Working with a PEO takes the classification process out of your hands and places the responsibility on a diligent, seasoned expert, so you’ll never misclassify a worker. Professional employment organizations—otherwise known as PEOs—provide businesses with numerous outsourcing services such as recruiting, human resources, payroll, and more. These organizations are great for small companies who wish to cut costs or larger companies who want to run more efficiently. It should be no surprise then that these services are also appealing to businesses located south of the border. 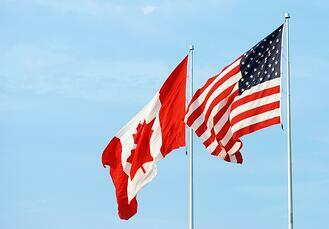 Many U.S. companies are itching to make a move into Canadian markets and PEOs are helping them do just that. 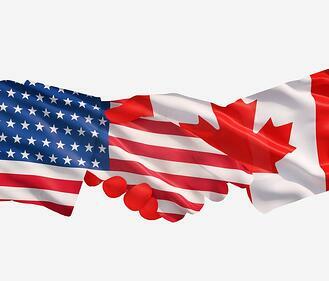 It’s smart for American businesses to invest in Canadian markets. Canada’s continuous economic growth, financial stability, low business tax, and high quality of life appeal to both U.S. startups and large corporations. It is also somewhat of a norm for American businesses to set up shop in Canada if they experience an increase in profits. This being said, it can still be extremely challenging for these businesses to expand into Canadian markets, but not for the reasons you may think. Even if a company has the manpower and finances required to make the move, it will still have to gain approval from government agencies and handle the onslaught of foreign laws, safety regulations, insurance, banks—the list goes on. Local PEOs help these companies make the transition a lot smoother by registering accounts with federal and provincial authorities, recruiting employees, building business teams and aiding with administration. When all of this internal work is outsourced, companies can focus on other important issues such as rebranding their business for Canadian markets. 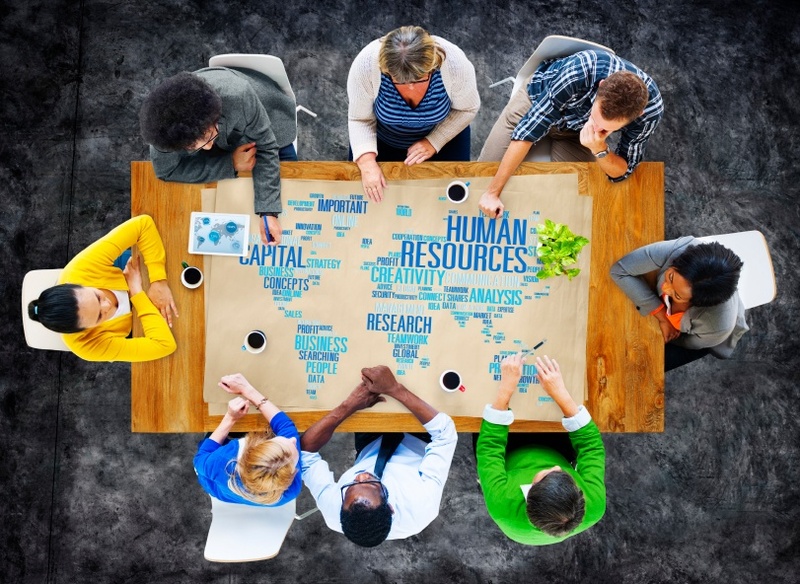 Organizing HR and payroll in Canada has its own set of challenges. Canadian labour laws, policies regarding pay, and provincial tax regulations, among other things, make it difficult for foreign countries to manage human resources and payroll without the help of Canadian PEOs. Luckily, many professional employment organizations can easily cater to international companies. Sound too expensive? It actually saves you money in the long run! PEOs offer outsourced HR and payroll services on a competitive budget that’s much more affordable than building these services in-house. 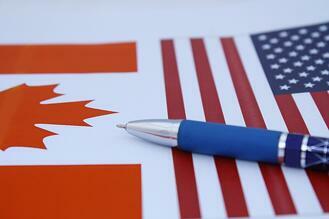 PEOs also make sure that Canadian employees of U.S. companies are properly treated and taken care of. Complaints and claims are handled with care; payroll is diligently processed without mistakes and employee morale is kept high thanks to organized HR teams that understand Canadian business culture. They even handle business obligations like employee training and safety programs. This is incredibly helpful for American businesses, considering Canada has different laws regarding workplace injury, employee rights, and so on; our unique healthcare and legal systems greatly affect how issues like workplace violence and harassment are dealt with. Canadian taxes are frustrating for the average working citizen, so imagine what they’re like for foreign companies. Canada Revenue Agency requires international businesses to hand over a ton of different documents and data. Luckily, PEOs have everyone covered. Canadian payroll services seamlessly take care of T4s, ROEs, paystubs, tax remittances, year-end tax reporting, and so on. By the time tax season rolls around, companies are able to rest assured that they’ve submitted all the relevant documents and data. Interested in learning more about professional employment organizations? Check out our in-depth collection of tax, payroll, and HR resources! If you’re looking for additional insight into how PEOs can benefit your expanding U.S. company, don’t hesitate to contact us. Employing American workers in the U.S. is quite difficult, so you can imagine the headache that comes with employing Canadian workers. 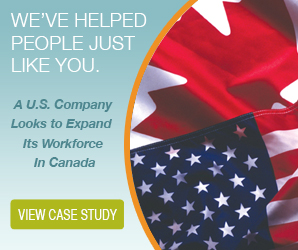 Thousands of companies across the U.S. have started to bring experienced candidates in from Canada, but unfortunately, this process comes with its own set of unique challenges. It's always wise to seek help when you're trying new things, and complex foreign laws require you to obtain the assistance of a Canadian professional employment organization, also known as a PEO service. After you hire Canadian workers, you'll immediately have a few key questions. What are payroll taxes in Canada? How do I pay my employees from up North? Can I fire them without notice if things don't work out? All of these questions, in addition to many more, can be answered and dealt with by an experienced Canadian PEO service. Here are three reasons why you simply cannot afford to hire Canadian workers without the backing of a trusted PEO service. 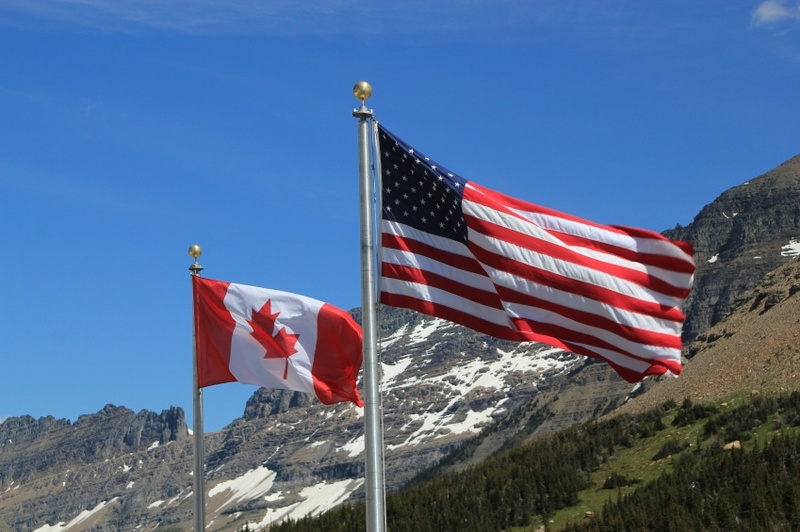 There are over 190 regulatory legislative requirements when it comes to hiring in Canada, and you'd be surprised at how different they are to those in the United States. For example, did you know that there is no such thing as 'at will' employment in Canada? Canadian employees must give some type of notice before quitting, and you must provide them with notice before termination. A PEO service is immersed in Canadian law, which will allow you to focus on your core business while they handle these technicalities. 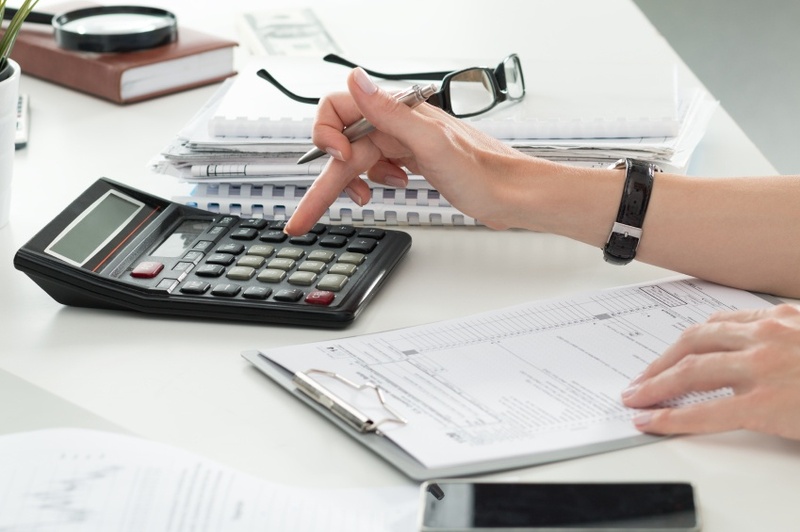 In Canada, small businesses have been identified as the greatest source of uncollected taxes, which has prompted the CRA to focus its efforts on enforcing payroll tax policies for small businesses. Therefore, you need outsourced payroll solutions to avoid making mistakes during payroll processing. There's a lot more to payroll than just cutting checks (or cheques), and a PEO service has the knowledge you need to feel confident that you're in line with the law. Sensitive employment issues do arise from time to time, and you need to handle them accordingly. A few key HR tasks that can be performed by a Canadian PEO service include: preparing disciplinary measures and terminations, creating employee handbooks, and addressing workplace harassment allegations. Your company can grow by leaps and bounds by employing Canadian workers, but you need a bit of outside help to make the transition as smooth as possible for both parties. Invest in an experienced PEO service and start growing your company with a fleet of new Canadian workers. Who Uses a Canadian PEO? For those who are unfamiliar, a Canadian PEO is a professional employer organization—a company who makes their living helping other companies handle critical daily tasks like payroll and human resources. Because of their expertise, more companies have been switching over to their services and saving time, money, and resources all while enjoying the kind of quality they've come to expect. However, many businesses are still on the fence. They know how a Canadian PEO can help, but they're not sure if it's right for their kind of business. It's an important question and one that we can help clarify. How do you know when you need a PEO and who do they help the most? Any company looking to increase their efficiency would be hard-pressed to find a better solution than to engage a PEO. By far, both payroll and human resources are the more strenuous areas of business and they take up a massive amount of time and energy that could be better used elsewhere. A PEO's main job is to deal with things like payroll and human resources on a company’s behalf—this means taking the burden of those critical, yet non-core tasks, and managing them in accordance to the company's directions. All the work gets done in the way they want it done, but without the drain of resources, namely time and money. For those companies that can't afford to manage a whole team dedicated to payroll and HR, it's a huge relief and frees them up to do other things, like focusing on growth or expansion. Speaking of growth, once a business has stabilized they often look to growing their operation into something bigger. This might mean a physically larger office, hoping to gain more employees and recognition, or simply offering more products, taking on more customers, even changing the fields they're working in. The issue with growth plans is that often, a budget needs to be worked out, and given how expensive payroll and HR can be, it can inhibit some of those plans. Especially when changing your area of focus, outsourcing to a Canadian PEO can be a great idea. Instead of hiring on more people right away during that transition, you can take the assets you already have (and are spending on payroll and human resources duties) and reallocate them to a more critical role. This means minimizing the amount of major change occurring during a delicate time, which helps keep things stable and functional while you dream of a bigger future. If you're a business interested in expansion into another country, you know how complicated the process can be. Even registration for a business number alone can take weeks or even months to accomplish and that comes with stacks of paperwork and legal documents to consider. You'll need to set up new financial and legal infrastructure, sign off on unfamiliar laws and policies and a great deal more. It's one of the reasons why so few businesses, despite their desire, feel confident entering a new marketplace. That said, there are easier ways around those hurdles and ones that could have you established as soon as you'd like. A Canadian PEO isn't just a payroll and HR expert, but can act as the legal employer of your workers when you're moving into Canada. Since they're already fully established legally, they can contract those workers back to you and you can begin hiring just about immediately. They'll work to your specifications and naturally, they'll handle all payroll and HR related duties as well, meaning you don't have to worry about a thing. All that, and they'll file your Canadian taxes for you—just one more task off the table! So you want to hire a worker in Canada? Congratulations! Depending on how your election goes, we'd be happy to welcome you to Canada in a few months as well. For now, you likely have a number of questions. For instance, why do we call them “paycheques”? Do Canadian payroll taxes vary from province to province and territory to territory? Can I just pay a Canadian worker as an independent contractor? Of course, you could always try to pay your workers under the table using a money transfer service and hope no one notices. Not only is this unethical, it would likely make you an international criminal. Generally, U.S. employers contact us after trying one of the following two options. First, they simply convert the funds into Canadian currency, then mail or wire a cheque to the worker. Second, they pay him or her as an independent contractor. In the first scenario, you've actually just paid your new employee under the table, and both the Ministry of Labour and the Canada Revenue Service (our version of the IRS) aren't going to be pleased. Canadian employment standards require U.S. employers to calculate federal and provincial payroll taxes, then remit them to the authorities. So why not simply list them as an independent contractor? As far too many young people in both Canada and the United States will tell you, some companies list workers as independent contractors even when they don't meet the strict requirements of the CRA or IRS. And when you're found to be in violation of any of these laws, you'll be faced with huge fines, back payments, criminal penalties, and even the loss of your right to do business in Canada altogether. Find a PEO Service in Canada! In the U.S., many companies avoid red tape when hiring overseas workers by finding a Professional Employer Organization (PEO) service. Just like Canadians use the word “cheque” instead of “check,” up north PEO services are called the Employer of Record, or EOR. And trust us, there is a lot of red tape. When processing payroll in Canada, there are more than 190 regulatory requirements to comply with—so far. In effect, when you outsource payroll to a PEO service in Canada, your northern employees are treated as employees of the PEO service. While you focus on your actual business, the professional employer handles payroll taxes, makes the necessary filings and remittances to the CRA, and keeps you in compliance with any other relevant federal or provincial regulations. As an Employer of Record, we can provide payroll solutions for small businesses and large corporations alike. Rather than becoming an expert on Canadian payroll laws and regulations (risking huge fines if you make a mistake), you can instead outsource payroll services to a PEO service in Canada.